Full agenda now available and registration is open! Make plans to join us in Wichita on May 10. Make plans to join us in Wichita on May 9! 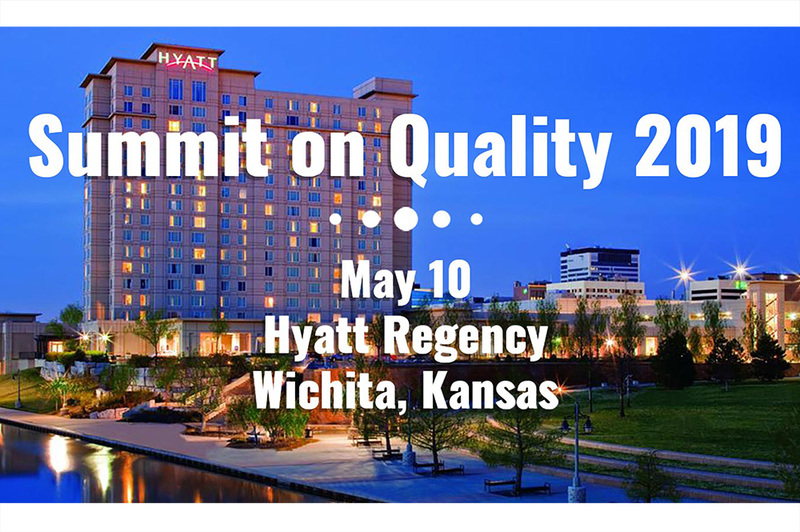 KHC is part of the Kansas Quality Improvement Partnership (KQIP), a group of leading Kansas health care organizations dedicated to improving quality and eliminating or reducing duplication of effort by Kansas providers. Among its current priorities, KQIP has established a goal that all Kansas healthcare settings and providers, animal and human, will actively promote the appropriate use of antibiotics through their antibiotic/antimicrobial stewardship programs and activities. We challenge all Kansas healthcare providers to take the #OneHealthKS Pledge and commit to working on this effort within your organization. Among its core initiatives, the Kansas Healthcare Collaborative leads hospital patient safety improvement efforts statewide on behalf of the Kansas Hospital Association as one of 34 state partners with the Health Research & Educational Trust (HRET) of the American Hospital Association. 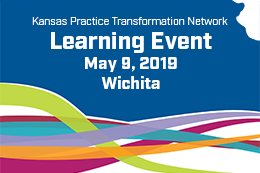 Among its core initiatives, the Kansas Healthcare Collaborative provides direct, in-person assistance to participating practices through the Compass Practice Transformation Network (PTN). Practices have the opportunity to collaborate with clinician colleagues locally, regionally, and nationally to accelerate innovative care strategies. There is no monetary cost for clinicians and practices to participate. In an effort to reduce the spread of influenza and to protect the health of both patients and health care providers, the Kansas Healthcare Collaborative recommends that all health care providers receive the seasonal influenza immunization. The results of its tenth annual statewide survey of hospital health care workers found that 93.9 percent of hospital personnel in Kansas received influenza vaccination during the 2017-18 flu season. KHC works in collaboration with a number of partners throughout the state, the region, and the nation to promote quality, safety and value in health care. KHC is pleased to work with the Kansas Department of Health and Environment (KDHE) on a variety of projects. The Kansas Quality Improvement Partnership meets regularly to discuss opportunities for collaboration, and includes representatives from the Kansas Healthcare Collaborative, the Kansas Hospital Association, the Kansas Foundation for Medical Care, the Kansas Medical Society, and the Kansas Department of Health and Environment. These meetings provide an opportunity for strategic discussions about ways to complement each organization’s work, enhance hospital engagement, and maintain the integrity and reputation of our organizations through clear communication and messaging to hospitals. KQIP recommends that all Kansas hospitals use the Centers for Disease Control and Prevention’s (CDC) National Healthcare Safety Network (NHSN) in their efforts to reduce hospital-acquired infections (HAIs). Ten years ago this month, I was interviewing for a role at a startup, provider-led organization focused on quality as envisioned by the Kansas Medical Society (KMS) and the Kansas Hospital Association (KHA). Health care was in the midst of significant change and at the heart of those discussions were important conversations around improving quality, safety, and value. KMS and KHA—two organizations committed to improving health care in Kansas—partnered to establish the Kansas Healthcare Collaborative. Today, that startup has grown into a nationally respected leader in quality improvement and patient safety. Blood Pressure Reduction Challenge - Awardees announced! Kansas Healthcare Collaborative, in partnership with the Kansas Department of Health and Environment, is pleased to announce the grant-awardees of the Blood Pressure Reduction Challenge! More than half the diabetic patients of Phillips County Health Systems in Phillipsburg, Kansas participated in a program providing diabetic support and education. In 2015, the first year of the program, 90 patients with chronic diabetic issues were referred to the Phillips County clinic. Of that number, 60 agreed to start the program. Nationally, on average just one-in-seven persons referred to diabetic programs are willing to participate. Through a grant awarded to the Cheyenne County Clinic in St. Francis, Kansas, Church and the EMS director Reid Raile began the mobile integrated health care service, working with high risk patients (patients at risk for complication or admission) in 2016. Church had two goals - to help patients stay safely in their homes and to reduce the number of avoidable emergency room and hospital visits.